Brazilian Jiu-Jitsu (BJJ) is for everyone. It’s a ground fighting, grappling based martial art that is suitable for people of all ages and fitness levels. 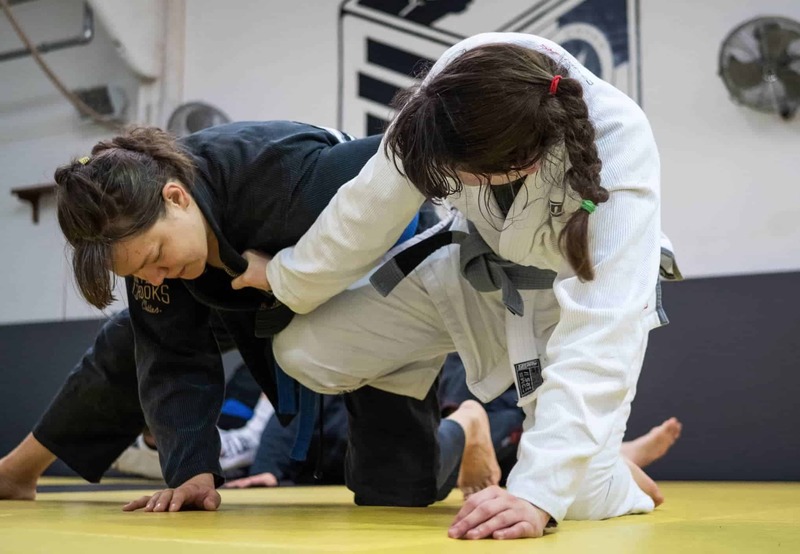 Whether you want to get fit, learn self-defence, increase your confidence, compete in competitions or just spend some time with like-minded friendly people, our BJJ classes at Elements Martial Arts are ideal. Learn these new skills in a relaxed, safe and respectful environment where you will receive all the support you need to get the most out of your training. Read on to find out everything you need to know to decide if this form of martial art is for you. ARE YOU NEW TO BJJ? When you first walk in our academy you notice that although everyone is training hard, they are also friendly and welcoming, and that the venue is clean and comfortable. We hope you take part on your first visit or stay to watch a class, using the opportunity to talk to an instructor regarding your training needs. We have several Fundamental Classes perfect for you if you have never trained in Brazilian Jiu Jitsu. If you cannot drop into the Elements Martial Arts Academy, just call or e-mail us to discuss your training requirements. 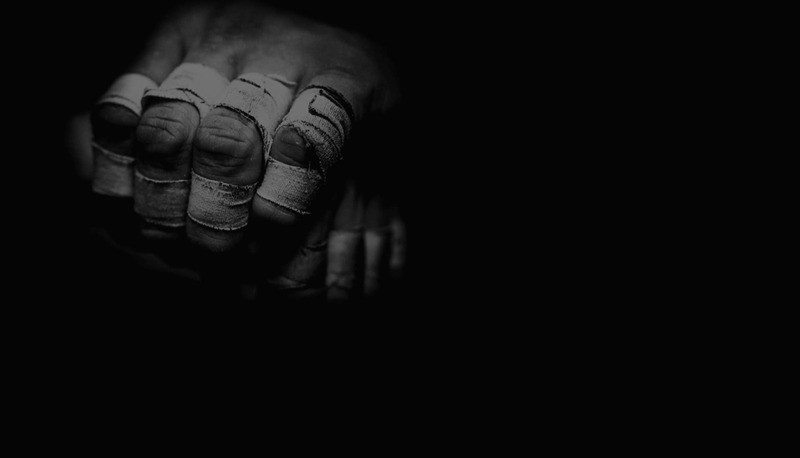 We’re committed to help you decide if Brazilian Jiu Jitsu is for you. This form of martial art originated from people learning Judo in Brazil and adapting it to enable it to be used by a smaller, weaker person to overcome a larger, stronger one. It works on the basis of getting your opponent onto the ground and then using positioning and leverage to pin them in a certain position. You can use it as a form of self defence, as a competitive sport or as a fun and healthy hobby. We teach it as all these things with plenty of opportunities to practice the techniques safely and respectfully with a partner. Participants wear a BJJ uniform which consists of a gi, a t-shirt or rashguard and a belt. Beginners can wear normal exercise clothes until they are ready to purchase a uniform. Why You Should Practice Brazilian Jiu-Jitsu? 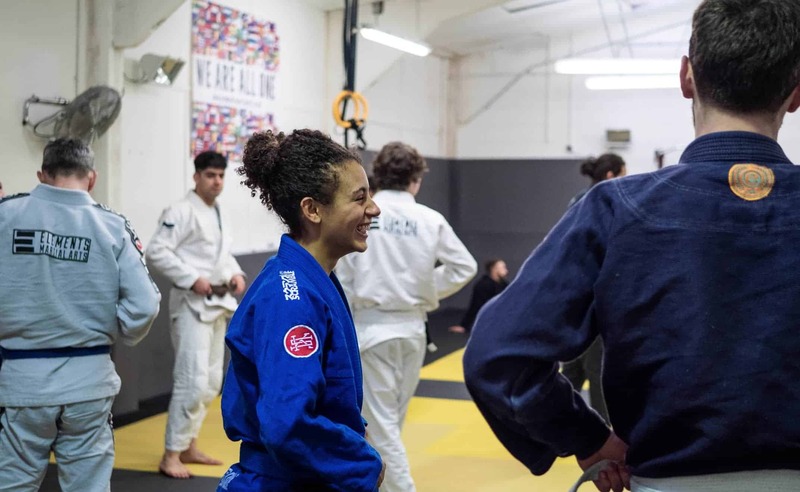 Not only are our BJJ classes good fun and an interesting form of exercise, they offer a wide range of physical and mental benefits. By training regularly, you improve your fitness level, increase strength and gain flexibility. Over time, you will find your awareness of your own body and how it moves improving along with your balance and coordination. This added awareness combined with the mentally and physically changing nature of the training also leads to improvements in self-confidence, self-esteem and happiness. The combination of exertion, concentration and training together with friendly people is also very relaxing and stress-relieving. This type of martial can give you all the benefits of a competitive sport and a self-defence class but combined with the satisfaction of an interesting and artistic hobby. Like with most exercise classes, you will need to fill in a form before you join in with the class. We recommend arriving a little early to do this and introducing yourself to the instructor so they can make sure you get the support you need during your first free introductory class. 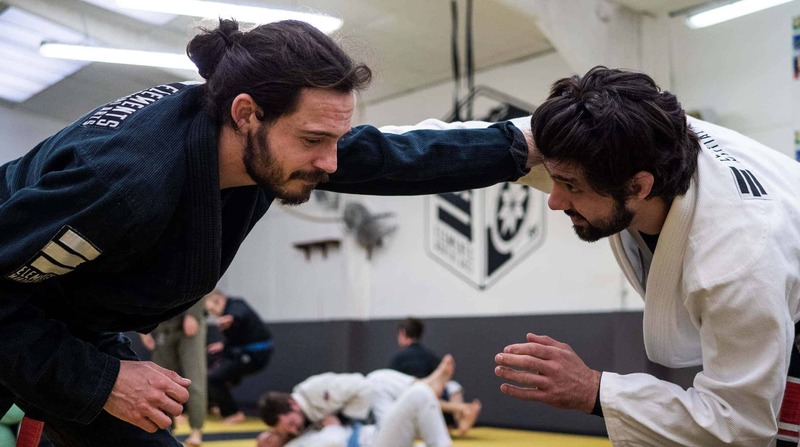 For complete beginners to BJJ, we run a Fundamentals course to allow you to grasp the basic techniques before moving on to more complicated moves. This course consists of 16 classes where you get taught the same things repeatedly for the first week so you can really get a good grasp of the essentials. 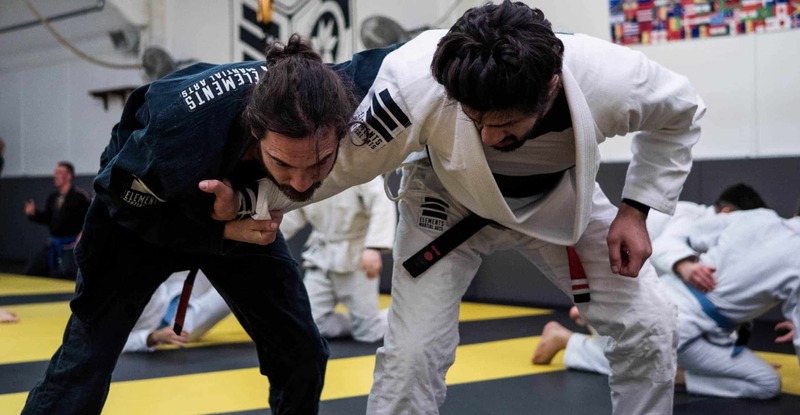 During the class, after a grappling based warm up, the instructor will demonstrate a sequence of moves which they will then break down into individual components to make them easier to learn. At the end of the class, you are welcome to ask the instructor any questions you would like and you can sign up if you enjoyed it.